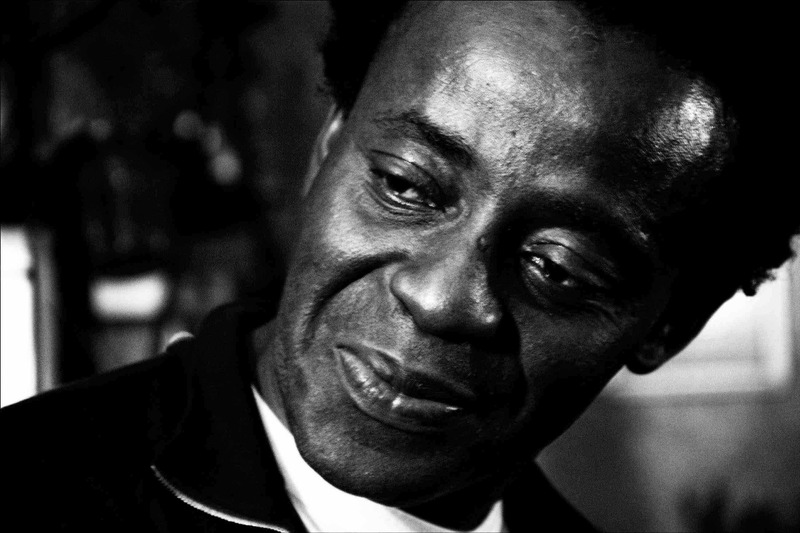 JOHN AKOMFRAH, OBE, is a seminal figure in Black British Cinema and forerunner in digital cinematography. He has a body of work that is considered one of the most distinctive and innovative in contemporary Britain. Born in Ghana, to politically active parents he moved to London at an early age. He was a founding figure in the influential cine cultural group Black Audio Film Collective which was dedicated to exploring questions of Black British identity, race and class through film and media. In 1999, he set up Smoking Dogs Films – which simultaneously cohabits the worlds of broadcast, cinema and the arts – with his long term producing partners, David Lawson and Lina Gopaul. John Akomfrah is a director, writer and theorist who creates documentaries, feature films and exhibitions that have garnered international critical acclaim. MARTIN STIG ANDERSEN is a Sound Designer and Composer with a background in the fields of acousmatic music, sound installations, electroacoustic performance, and video art, earning several international distinctions and awards. In 2009 he joined Playdead where he created the audio for the video game LIMBO which won Outstanding Achievement in Sound Design at the Interactive Achievement Awards, the IndieCade Sound Award 2010, and was nominated for best audio at the BAFTA Video Games Awards 2011. In the years following the release of LIMBO, Martin Stig Andersen has been working on Playdead’s next title, INSIDE, which is to be released mid 2015. 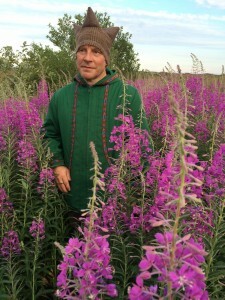 Martin graduated as a composer from The Royal Academy of Music in Aarhus, Denmark in 2003, after which he went on to study electroacoustic composition under Professor Denis Smalley at City University, London. DICKIE BEAU, a London-based physical performer and intrepid drag fabulist, is a postmodern cultural pickpocket, maverick theatre-maker and twisted video star; looting a range of performance traditions, from “low culture” to “high art”, in the creation of distinctive performance experiences. Dickie has gained notoriety as a pioneer of “playback” performance: the uncanny embodiment (or “re-memberment”) of found sound – a style of performance that emerges from the drag tradition of lip synching. Within his approach, Dickie draws on many other performance traditions, including clowning, theatre, vaudeville, dance and mime, without being exclusive to one school’s rules. He merges the sensibility of contemporary culture with queer twists and informed echoes of the past. Venues where Dickie has performed include the Southbank Centre, Cafe de Paris, Wilton Music Hall, Madame JoJos, Royal Opera House, Victoria & Albert Museum, the Roundhouse, Ronnie Scotts, Dublin’s Queer Notions Festival, Ljubljana’s City of Women Festival and the London Lesbian & Gay Film Festival. Dickie was recently awarded the Oxford Samuel Beckett Theatre Trust Award 2014. This resulted in his first ensemble piece, “Camera Lucida”, presented at the Barbican, London in October 2014. The piece engages with ideas of the body as a medium – “channelling” the dead. The ideas relate to Hans Belting’s image theory, which traces the origins of human picture-making in the earliest rituals of the funereal realm. He won Best Alternative Performer in the 2012 London Cabaret Awards and in 2013 was the recipient of a prestigious Jardin d’Europe contemporary dance award. NICOLAS BECKER is one of the most sought-after Foley artists, sound designers and composers in the world. He tries to find an original process for each film, putting forward a uniquely creative reasoning in order to obtain very special material. He has collaborated with filmmakers including Roman Polanski, David Cronenberg, Matthieu Kassovitz, Andrea Arnold and Danny Boyle. In 2013, he received his second Golden Reel award for his work on Gravity by Alfonso Cuarón. Becker is also a research and development consultant for many studios and firms who create audio software. 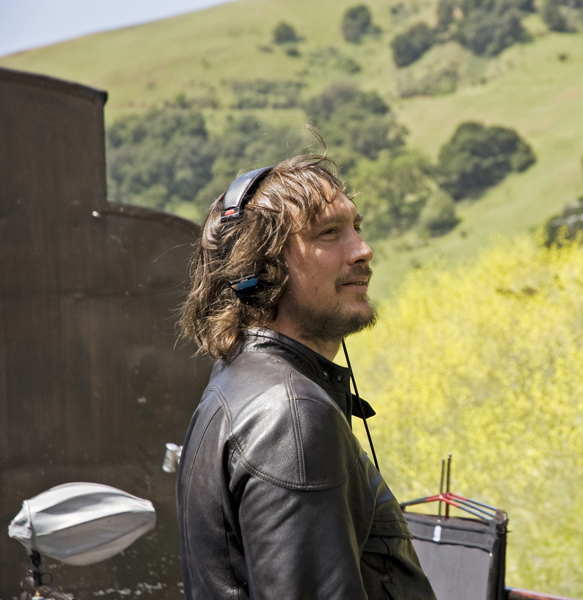 He teaches regularly in film schools including La Femis in Paris and the NFTS in the UK. He is also a member of the band, Manasonics. He is now expanding his work into areas of sound art and sound supervision on a variety of projects: sound artistic director for the DAU project (Russia); sound supervisor for Philippe Parreno’s next exhibition at the Armory Park (New York City) and composer for the films Technology by Maiko Endo (Japan) and Hilda Hist Pede Contanto by Gabriella Greeb (Brazil). He will be the sound designer for the next album by electronic musician Agoria, sound artist for the Opera Garnier in Paris and for an operatic project with Philippe Parreno, Benjamin Millepieds and Nico Muhly, and Foley artist for David Yates’ next film, Tarzan. JOHN BROOMHALL is the composer of such iconic games as Transport Tycoon and X-COM, and recently composed music for key Xbox One launch title, Forza Motorsport 5, recorded at George Lucas’s Skywalker Sound. His prolific career encompasses contributions to many other celebrated productions. A multi-faceted independent music and audio creative with many years’ experience in both the music and videogames industries, he has held a number of senior in-house and outsourced management roles and has dozens of published titles to his credit as composer/producer, audio director/consultant, sound effects designer and voice director. Broomhall has chaired many BAFTA Audio Awards and sat on the BAFTA Videogames Committee for the maximum allowable years. He regularly speaks/lectures about game audio at seminars, conferences and universities. He organises/chairs the annual Develop Conference Audio Track, writes a monthly column for well-known industry magazine, Develop, is a contributor to pro-audio publications Audio Media and Audio Technology, and sits on the Editorial Board of academic journal The New Soundtrack. Broomhall has served on Skillset’s Game Forum and advised on the National Occupational Standards for both Interactive Media and Sound. In 2009 he was honored with a Recognition Award by the Game Audio Network Guild of America. In 2011, he was invited to give the keynote address at the Audio Engineering Society’s conference in London and in 2013, co-founded Game Music Connect, hosting its inaugural event at London’s South Bank. He’s also a session keyboard player, producer and songwriter (published by Allied Songwriters/Notting Hill Music). 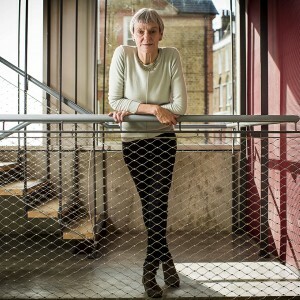 SIOBHAN DAVIES (CBE) is a renowned British choreographer, having created over 60 works to critical acclaim: twice-winning an Olivier Award, and others including Digital Dance Awards and a South Bank Show Award. Founding Siobhan Davies Dance in 1988, she has consistently worked closely with collaborating dance artists to ensure that their own artistic enquiry was part of the creative process. By 2002 Davies moved away from the traditional theatre circuit and started making work for gallery spaces and alternative locations, including an aircraft hangar and Victoria Miro Gallery. 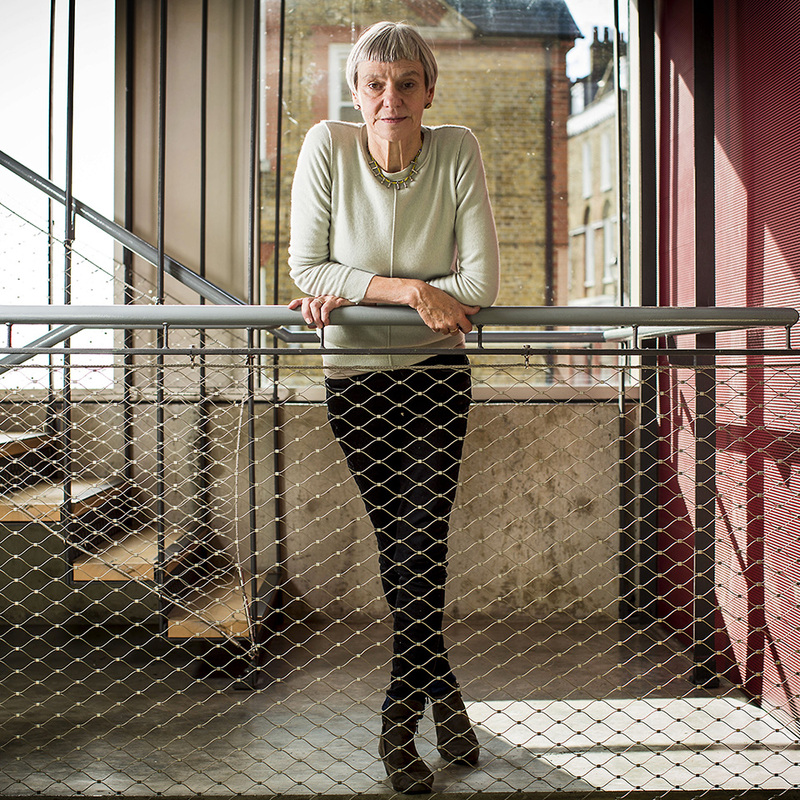 In 2006, the RIBA award-winning Siobhan Davies Studios opened realising Davies’ long-standing goal of establishing a permanent base for her organisation and for independent dance artists. The Studios are now a vibrant contemporary arts space in central London, filled with dance, film, visual art and craft, through a programme of exhibitions, performances, participation projects and new commissions from leading contemporary artists. Her recent works have been presented at some of the most prestigious art institutions in the UK, including, Arnolfini (Bristol), the Ashmolean Museum (Oxford), the ICA, The Roundhouse and South London Gallery (London), Whitworth Art Gallery (Manchester), Ikon (Birmingham), Whitechapel Gallery (London), Turner Contemporary (Margate), Tramway (Glasgow) and Glasgow Museum of Modern Art. 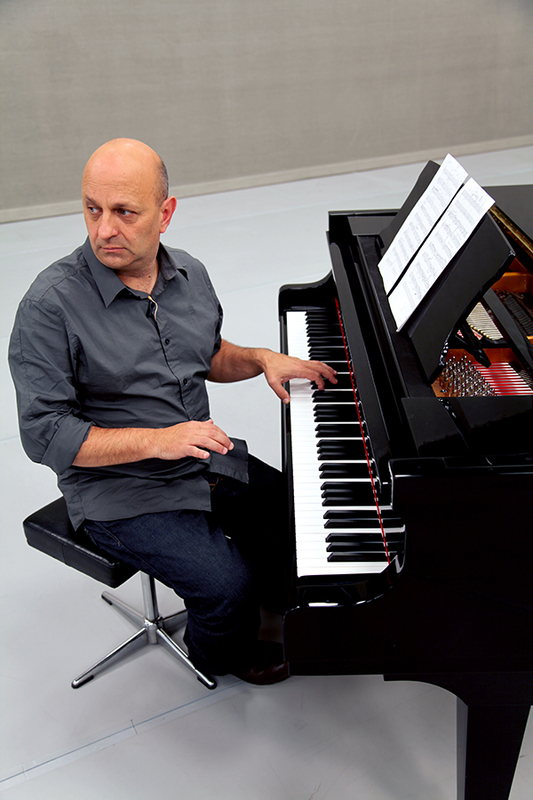 Prof. Deutsch was educated initially in the United States (initial training – Julliard Preparatory Division; BMus – SMU; MA – San Francisco State University). After settling in Britain he attended the Royal College of Music where he was engaged in electro-acoustic composition under the direction of Tristram Cary. In 1971 he and two partners established Synthesizer Music Services, Ltd., an electro-acoustic studio in London. At Bournemouth University, he is Professor of Post-Production. In 1992 he founded the University’s PGDip/M.A. in Electro-Acoustic Music for Film & Television (later MA in Soundtrack Production: Composition for the Screen). This course, which was the first of its kind in Europe, was designed to equip post-graduate professional composers with the skills necessary to engage in writing music for film, tv, radio and other multi-media packages. He is also Visiting Tutor in Screen Composition at the National Film & Television School. Within both institutions he has trained over 60 composers, some of whom have since provided music for feature films, theatre, television and computer games. His recent activity has been in combining music and sound design for moving images. He is an editor of The New Soundtrack, an academic journal which focuses its attention on all the aural elements which combine with moving images. GERHARD ECKEL is an artist using sound to explore ways of world making. He aims at articulating the aesthetic and epistemic dimensions of art, understanding artistic experience as a compound of action, perception and reflection. His works are the result of research processes drawing on practices of music composition, sound art, choreography and dance, installation art, interaction design and digital instrument making. Gerhard is professor of computer music and multimedia at the University of Music and Performing Arts Graz in Austria. He also serves as an affiliate professor at the KTH Royal Institute of Technology and as a visiting professor at the Royal College of Music in Stockholm. Besides his artistic work and teaching, he leads publicly funded transdisciplinary research projects and supervises scholarly and artistic doctoral research. Currently he is the president of the international Society for Artistic Research. 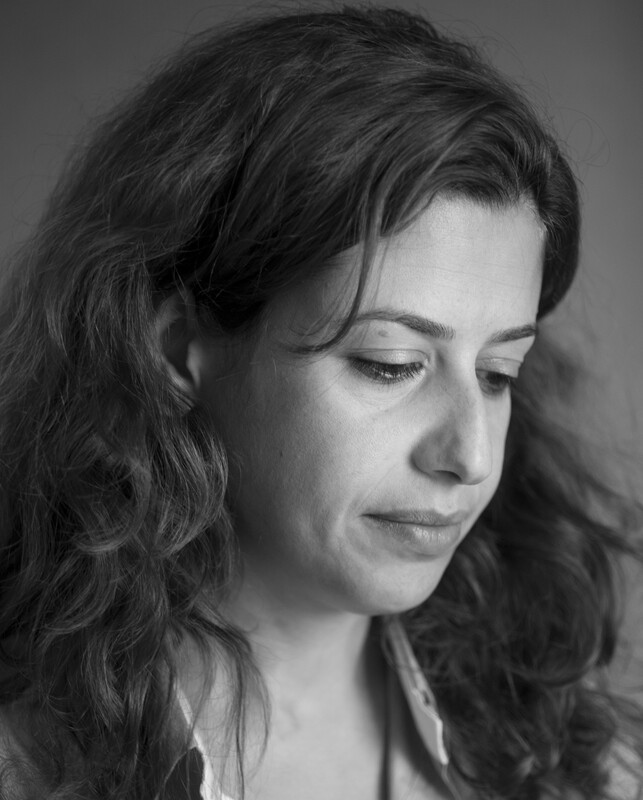 RANA EID has worked as a sound designer in the Arab film community for the past 15 years. Regarded as being amongst the few practitioners to have introduced contemporary film methods in the region, Rana has worked on a multitude of fiction and documentary films, video art and installation works, and various other audio-visual projects. In 2003 Rana released the spoken word album “Shhh…” verbalizing the frustrations and discontents of being a young woman in Lebanon. She used excerpts from the album in a commissioned sound installation entitled “Walking With a Prosthetic Ear,” exhibited at the Villa Paradiso cultural spaces in Beirut in 2014. In 2006 Rana opened db STUDIOS-Beirut for audio postproduction with composer Nadim Mishlawi. Rana teaches sound design in the film department of Université Saint Esprit Kaslik, Lebanon. Rana lives and works in Beirut. 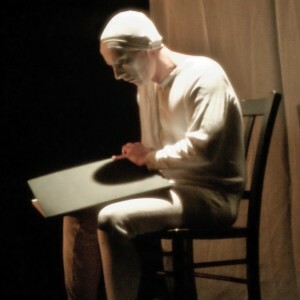 MATTEO FARGION is a composer, performer and teacher. He has worked in dance and theatre for over 20 years, collaborating with leading choreographers and directors in the UK and abroad. For the past 15 years he has worked closely with Siobhan Davies, writing music for and performing in some of her most significant recent work. Together with Jonathan Burrows, he has made a series of 8 duets conceived, choreographed, composed, administrated and performed together. Both Sitting Duet, The Quiet Dance, Speaking Dance, Cheap Lecture, The Cow Piece , Counting to One Hundred One Flute Note and Body Not Fit for Purpose are all touring, and the two men have now given almost 250 performances around the world. Both Sitting Duet won a 2004 New York Dance and Performance ‘Bessie’ Award, and Cheap Lecture was chosen for the prestigious 2009 Het Theaterfestival in Belgium. He has also written a lot of music for theatre, especially in Germany, where he has collaborated several times with Elmar Goerden (Stuttgarter Staatstheater, Residenztheater Munich, Bochum Schauspielhaus and Theater an der Josefstadt, Vienna) and with Thomas Ostermeier at the Schaubühne Berlin. Matteo is also a long-time visiting member of faculty at PARTS, the school of Anne Teresa De Keesrmaeker in Brussels, where he has worked on a new approach to teaching composition to young choreographers, within a framework of music practice but built also on his wealth of experience as a performer. 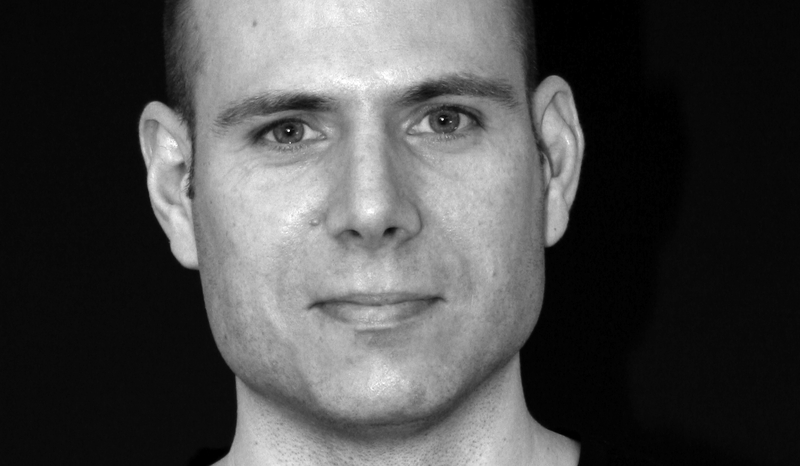 He is active as a composition teacher both in Britain and abroad, and has recently led workshops in Copenhagen, Berlin, Vienna, Perth, Munich, London, Leeds and Brighton. Matteo has also made 4 pieces for dance students recently, at LABAN, Mapdance (Chichester) and Bedford University. NADIM MISHLAWI has a background of both Fine Arts and Film and his first projects were experiments within the genre of musique concrete. 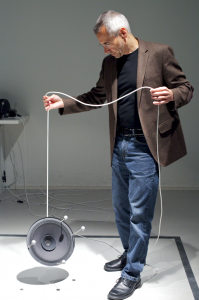 In 2004 Nadim exhibited his sound installation “On the Periphery: An Offscreen Composition” at the Ashkal Alwan Forum for the Arts in Beirut 2004. In 2006 Nadim opened db STUDIOS for audio post-production with sound designer Rana Eid. Since then, Nadim has worked on films, documentaries, and art installations from around the Middle East. In 2014, Nadim released the 3CD Box Set “Works” compiling various compositions in the genres of post rock, electronics, and musique concrete. Nadim’s musical work is characterized by its fusion of various instruments and sound sources in creating drawn-out, evolving textures. 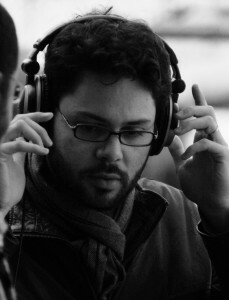 In 2011 Nadim made his directorial debut with the documentary “Sector Zero” which received prizes at the Dubai International Film Festival and the Berlin Academy of the Arts. Nadim currently teaches the MA course “Sound Creation” at Université Saint Joseph (IESAV), Lebanon. Nadim lives and works in Beirut. 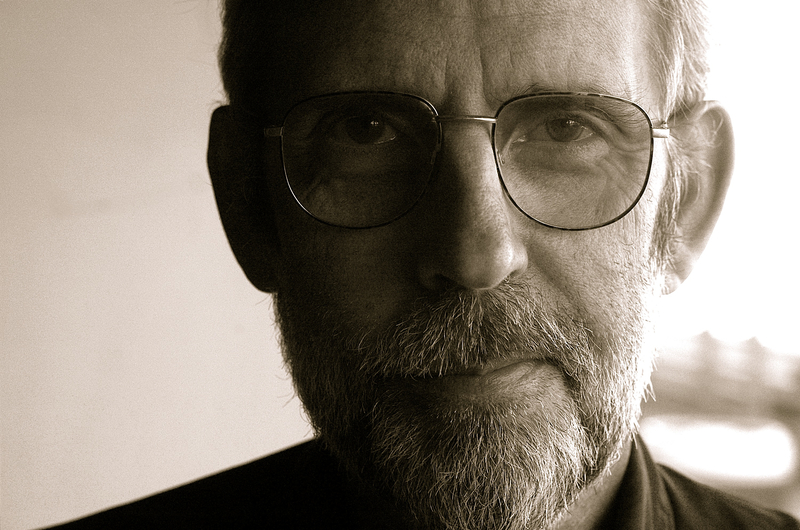 WALTER MURCH is a film editor, sound designer, director, translator and amateur astronomer. His forty-five years of pioneering sound design and picture editing work on films include THX-1138, The Conversation, The Godfather (I, II, III), Julia, Apocalypse Now, The English Patient, Talented Mr. Ripley, Cold Mountain, and Jarhead, as well as writing and directing Return to Oz. He is author of In the Blink of an Eye, a book about the craft of film editing, and is the subject of The Conversations by Michael Ondaatje, as well as Behind the Seen by Charles Koppelman. His latest film work (2014) is Particle Fever, a feature documentary on the Large Hadron Collider and the search for the Higgs boson, directed by Mark Levinson. Brad Bird’s Tomorrowland, which Murch edited, will be released in May of 2015. RIE NAKAJIMA is an artist working with installations and performances that produce sound. She recently won the Arts Foundation Award for Experimental Music. Her works are most often composed in direct response to unique architectural spaces using a combination of sounds and found objects. The works created for the purposes of “playing” the sounds she has in mind are often placed matter-of-factly on the floor or take the form of assembled objects that serve as sound makers, giving rise to inorganic spaces. Listening to the works in such finely honed environments brings to the surface in a pure way people’s imagination, memories, and deepest thoughts. She has collaborated with David Toop in curating‘Sculpture’ project. She has closely worked with David Cunningham, Miki Yui, also performed with many musicians such as Lau Nau, Yoshihide Otomo, Lee Patterson, Angharad Davies, Pierre Berthet, Guy De Bievre so on. 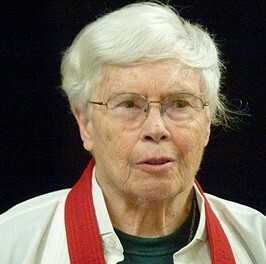 PAULINE OLIVEROS (1932) is a composer and improviser. She plays a custom Titano acoustic accordion and the Roland V Accordion FR7X in her solo and ensemble improvisations as well as Expanded Instrument System (EIS), an ever evolving electroacoustic processing unit of her design. She performs extensively locally and in many parts of the world in a variety of venues. Her music is performed widely as well by many notable musicians and ensembles. Oliveros’ works are recorded and available through download sites, cassette, CD, DVD, and Vinyl releases. Recent compositions include The Mystery Beyond Matter 2014 commissioned by Quiet Music Ensemble Cork, Ireland; Concerto for Bass Drum and Ensemble commissioned by International Contemporary Ensemble and performed in New York at Lincoln Center in August 2013; Tower Ring 2011 commissioned by the Oliver Ranch Foundation for Ann Hamilton’s Tower situated at the Oliver Ranch in Geyserville California. In 2009 Oliveros was honored with the William Schuman Lifetime Achievement Award presented by Columbia University along with a three-hour retrospective of her music at the Miller Theater in New York in 2010. Foundation for Contemporary Arts presented Oliveros with the 2012 John Cage Award at Merce Cunningham Dance Foundation in New York. She received the GigaHertz Award from ZKM in Karlsruhe 2012. Oliveros is the founder of Deep Listening®. Through her Deep Listening practice she has facilitated numerous workshops and intensives throughout the world leading to collaborations across many disciplines. Deep Listening: Art/Science an international conference produced by Deep Listening Institute, Ltd. was held at EMPAC, RPI in Troy NY, July 2013 and 2014 http://www.deeplistening.org/conference. She has created Adaptive Use Musical Instruments (AUMI) to enable artists with disabilities to improvise music. For more information see http://paulineoliveros.us and http://www.deeplistening.org. 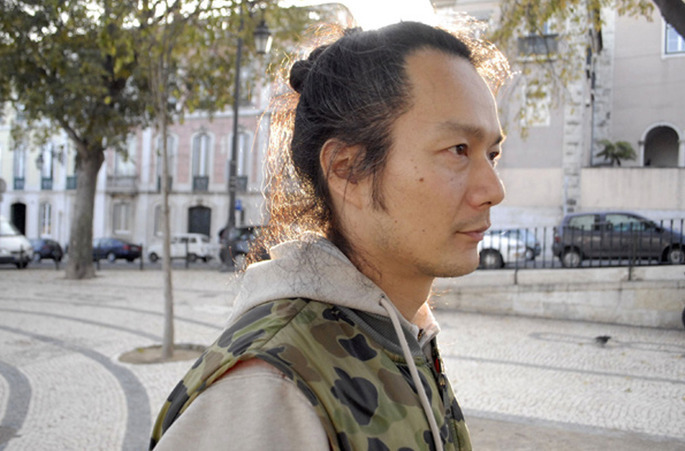 AKI ONDA is an electronic musician, composer, and visual artist. Onda was born in Japan and currently resides in New York. He is particularly known for his Cassette Memories project – works compiled from a “sound diary” of field-recordings collected by Onda over a span of more than two decades. Onda’s musical instrument of choice is the cassette Walkman. Not only does he capture field recordings with the Walkman, he also physically manipulates multiple Walkmans with electronics in his performances. In recent years, Onda often works in interdisciplinary fields and collaborates with filmmakers and visual artists. His on-going collaborations include “Nervous Magic Lantern” with Ken Jacobs, improv trio with Michael Snow and Alan Licht, site-specific happening with Akio Suzuki, and audio-visual installation/performance with Raha Raissnia. 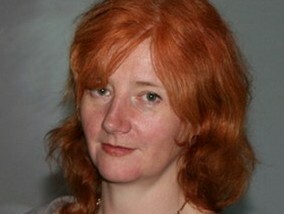 JOANNA ORLAND is currently Senior Sound Designer at Sony Computer Entertainment Europe. Joanna began her career in the games industry at EA Criterion in 2005 where she worked on the critically acclaimed Black and Burnout franchises. After 2.5 years at Criterion, she made the move to Sony Computer Entertainment Europe’s London Studio as a member of the central Creative Services Group where she continues in her role as senior sound designer. In addition to working in the games industry, Joanna has spent three years in the role of University Lecturer in the MA Audio Production course at the University of Westminster. She was well suited to this position, having obtained her MA in Audio Production from the university, as well as a Bachelor of Applied Arts in Radio & Television from Ryerson University, and a Post-Graduate Certificate in Interactive Multimedia from Sheridan College. 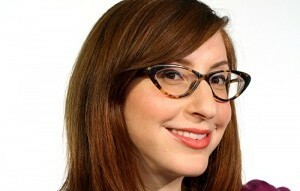 In addition to her careers in sound design and lecturing, Joanna is also producer, editor and journalist for pop culture web site Loose Lips. 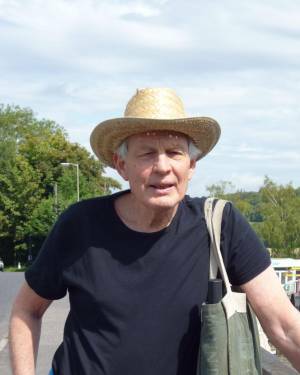 PIERS PLOWRIGHT was born in London in 1937 and spent a lot of his childhood listening to the radio and going to the nearby Everyman Cinema, where he saw the classics of European, American and Asian cinema. After a time teaching in Borneo, Iran, and the Sudan, he joined the BBC in 1968, working first for the overseas service and then moving to the Radio Drama Department where he discovered the power of the radio documentary and feature. Since 1977, he has been making radio programmes about real people and events but which often make use of the techniques and structure of drama. He has also been much influenced by film and its use of sound. Piers has won two Italia Prizes and an RAI prize for his radio documentaries and a Gold Award for documentaries in the 1997 Sony Awards and ditto in 1968 for ‘Services to Radio’. In November 2006, he was the winner of the Audio Luminary Award at the Third Coast Radio Festival in Chicago. He retired from the BBC in 1997 but continues to listen, look and lecture. 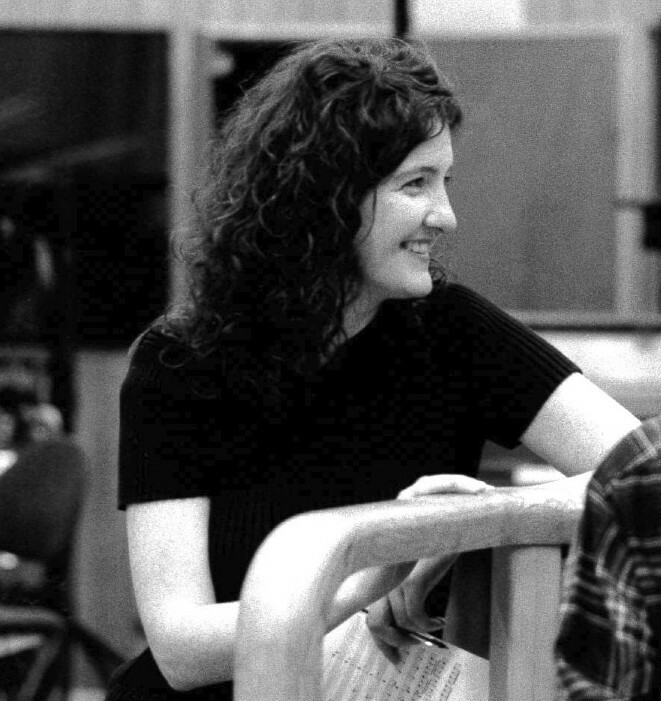 Often remembered for her film score to Eyes Wide Shut, which won her a Chicago Film Award and a Golden Globe nomination, Pook has worked with some of the world’s leading directors, musicians, artists and arts institutions – including Stanley Kubrick, Martin Scorsese, the Royal Opera House, BBC Proms, Andrew Motion, Peter Gabriel, Massive Attack and Laurie Anderson. Pook has also written film score to Michael Radford’s The Merchant of Venice with Al Pacino, which featured the voice of countertenor Andreas Scholl and was nominated for a Classical Brit Award. Other notable film scores include Brick Lane directed by Sarah Gavron and a piece for the soundtrack to Gangs of New York directed by Martin Scorsese. IMOGEN STIDWORTHY’s work focuses on aspects of the voice. She works with the many dimensions of the voice, investigating its relation to spaces and borders in the social landscape and observing how they manifest in speech, language and the body. Central in her research is to engage with others who exist in very different paradigms of language, shaped by experience, or by physical, neurological or social conditions. Her work has been shortlisted for awards such as the Jarman Award 2011, Becks Futures 2004 and The Northern Art Prize 2008; in 2008 she won the Liverpool Art Prize and in 1996 the Dutch Prix de Rome (Film and Video). Her work is in collections at MukHA, Antwerp; Centre Georges Pompidou, Paris; FRAC Bourgogne and Fries Museum Leeuwaarden (NL). Stidworthy curated the exhibitions BLACKOUT! at ERC Liverpool (2013), In the First Circle (in collaboration with Paul Domela), Fundacio Antoni Tapies, Barcelona (2011-12) and Die Lucky Bush, MuKHA, Antwerp (2008). Recent solo exhibitions include AKINCI Amsterdam and Galerie Raum mit Licht in 2013; Matts Gallery London, 2012; Kunstpavillon, Innsbruck and Arnolfini, Bristol, 2010. Recent group exhibitions include in 2015: Listening, a Hayward Touring Exhibition at Bluecoat Liverpool (and Baltic 39 Newcastle, in 2014) and The Inner Acoustic at Errant Bodies, Berlin, and in 2014: Sao Paulo Bienal; Through a Glass Darkly at STROOM, The Hague and Passages at AKINCI Amsterdam. Further: Bergen Triennale 2013, Busan Biennale 2012, Oktober Salon Belgrade 2011 and Documenta 12, 2007. Her work is represented by Matts Gallery London, AKINCI Amsterdam and LUX London. PETER SELLARS Opera, theater, and festival director Peter Sellars has gained renown worldwide for his groundbreaking and transformative interpretations of artistic masterpieces and collaborative projects with an extraordinary range of creative artists across three decades. 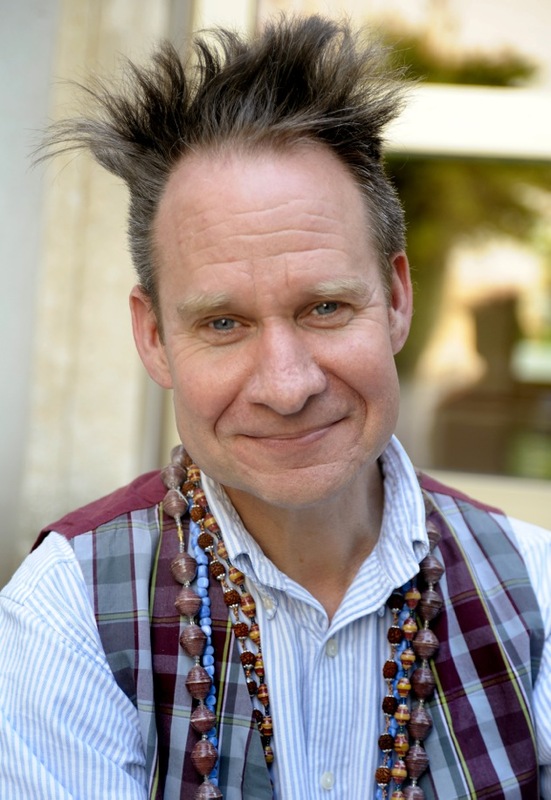 Whether it is Bach, Mozart, Handel, Shakespeare, Sophocles, or the 16th century Chinese playwright Tang Xianzu, Peter Sellars strikes a universal chord with audiences, engaging and illuminating contemporary social and political issues. Sellars has staged operas at the Glyndebourne Festival, Lyric Opera of Chicago, Netherlands Opera, Opéra National de Paris, Salzburg Festival, San Francisco Opera, and Teatro Real, among others, establishing a reputation for bringing 20th-century and contemporary operas to the stage. Inspired by the compositions of Kaija Saariaho, Osvaldo Golijov, and Tan Dun, he has guided the creation of productions of their work that have expanded the repertoire of modern opera. Sellars has been a driving force in the creation of many new works with longtime collaborator composer John Adams, including Nixon in China, The Death of Klinghoffer, El Niño, Doctor Atomic, A Flowering Tree and their latest work, The Gospel According to the Other Mary, staged in the U.S. and in Europe early in 2013. Sellars has led several major arts festivals, including the 1990 and 1993 Los Angeles Festivals; the 2002 Adelaide Arts Festival in Australia; and the 2003 Venice Biennale International Festival of Theater. In 2006 he was Artistic Director of New Crowned Hope, a month-long festival in Vienna for which he invited international artists to create new work in the fields of music, theater, dance, film, the visual arts and architecture for the city’s celebration of Mozart’s 250th birth anniversary. Sellars is a professor in the Department of World Arts and Cultures at UCLA and Resident Curator of the Telluride Film Festival. He is the recipient of a MacArthur Fellowship, the Erasmus Prize, the Sundance Institute Risk-Takers Award, and the Gish Prize, and is a member of the American Academy of Arts and Sciences. ÁNDE SOMBY is a yoiker. Yoiks are the traditional chanting of the Sámi people of northern scandinavia and of north western part of Russia. Yoiks originate from the pre christian shamanistic religious practises, and has therefore been banned and campaigned against ever since the sami people came in contact with christianity and later with the emerging national states. People have been burned under allegations for witchcraft. The drums that were used during the rituals were burned or confiscated. Yoiks are the evidence that songs cannot be burned away. Yoiks are vibrant and alive as ever before. Ánde Somby has been performing since he was 16. He has performed at his native Sámiland. The in the north land without borders. He has been performing in the USA, Taiwan, Canada and in many European countries. He has also been producing records with other yoikers as well as given numerous academic presentations about yoik. Even though he documents the tradition through his deep roots into the art of yoiking, Sombys signature as a yoiker is his existential style of yoiking. His inspiration is the idea of transformation in the pre christian religion – that a human could transform into an animal and back to a human again. He yoiks with the traditional techniques. Somby stretches his voice to its limits in a hope that the imagination in the listener will fly beyond. 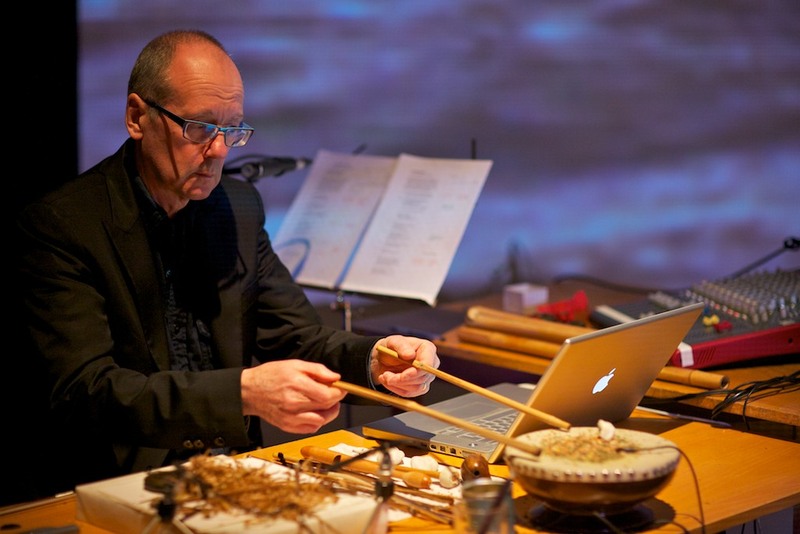 DAVID TOOP is a composer/musician, author and curator based in London. Since 1970 he has worked in many fields of sound art, listening practice and music, including improvisation, sound installations and video works, field recordings, pop music production, music for television, theatre and dance. He has recorded Yanomami shamanism in Amazonas, appeared on Top of the Pops with the Flying Lizards, exhibited sound installations in Tokyo, Beijing and London’s National Gallery, and performed with artists ranging from John Zorn, Evan Parker, Derek Bailey, Bob Cobbing and Ivor Cutler to Akio Suzuki, Elaine Mitchener, Lore Lixenberg, Scanner and Max Eastley. 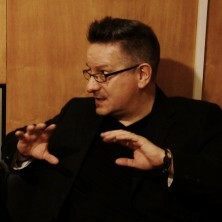 He has published five books, translated into 11 languages – Rap Attack, Ocean of Sound, Exotica, Haunted Weather, and Sinister Resonance: The Mediumship of the Listener – released eight solo albums, including New and Rediscovered Musical Instruments (on Brian Eno’s Obscure label in 1975), Screen Ceremonies, Black Chamber and Sound Body, and as a critic and theorist has written for many publications, including The Wire, The Face, Leonardo Music Journal, Pitchfork and Bookforum. Exhibitions he has curated include Sonic Boom at the Hayward Gallery, London, Playing John Cage at Arnolfini, Bristol, and Blow Up at Flat-Time House, London. He was also sound curator for Radical Fashion at the Victoria & Albert Museum and curatorial consultant for the currently touring Crafts Council exhibition Sound Matters. His opera – Star-shaped Biscuit – was performed as an Aldeburgh Faster Than Sound project in September 2012 and his collaborative work – Who will go mad with me – was developed and performed with Alasdair Roberts, Sylvia Hallett and Luke Fowler at Huddersfield Contemporary Music Festival in November 2013. Currently writing Into the Maelstrom: Improvised Music and the Pursuit of Freedom, he is also the co-creator of Sculpture events with artist Rie Nakajima. He is Chair of Audio Culture and Improvisation at University of the Arts London.